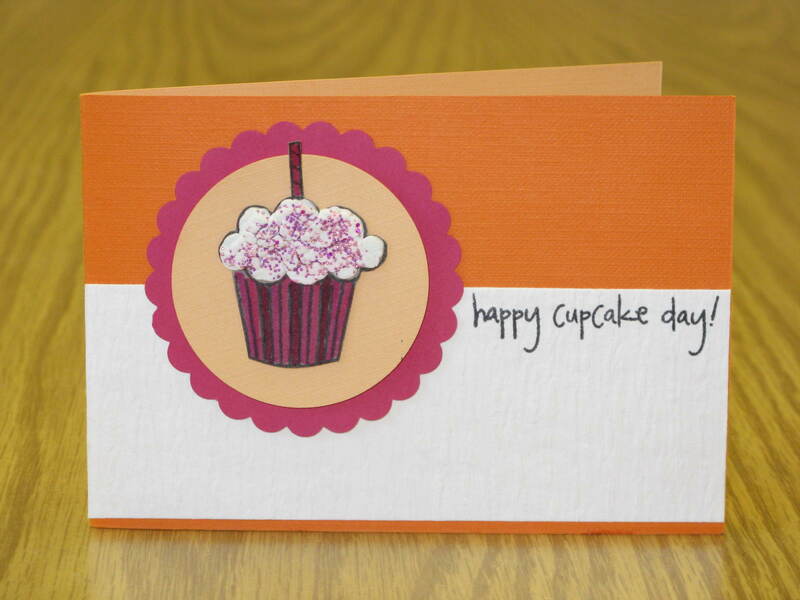 Supplies: A Muse Cupcake Builder Set; Marvy Punches and Liquid Applique; Tombow Dual Brush Pens; Stix2 Microbeads; Onyx Black VersaFine Ink; various cardstocks. More exciting news – I got an honourable mention on the Hero Arts Blog for last week’s Hearts challenge! 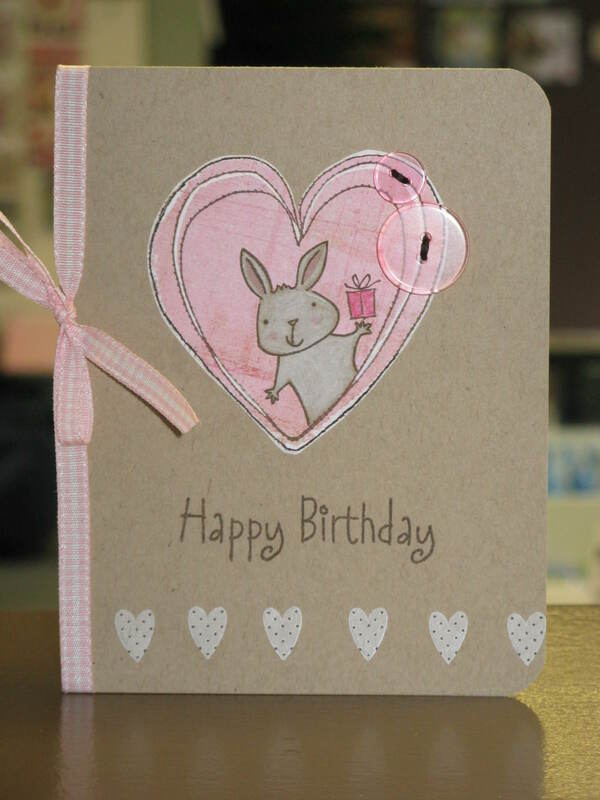 I made this card for my neice Brooklyn’s 2nd birthday because she loves bunnies. Supplies: Hero Arts Happy Day Animals, Three Stitched Hearts, Birthday Messages, Celebrate Simple Joy (tiny heart); Signo White Uni-ball Gel pen; Pinecone VersaColor Ink; Frost White Colorbox Pigment Ink; Watercolor Pencils; Kraft cardstock; miscellaneous buttons & ribbon.